1. First break the eggs and beat throughly. Add in flour and stir again. 3. Finnally, add in coil oil, stir well. 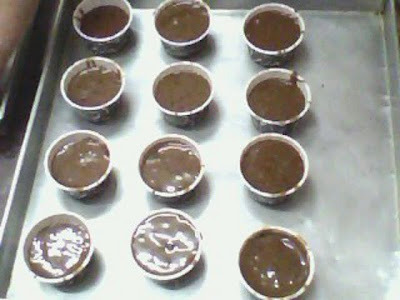 Add on cocoa flour, chocolate paste and blend. 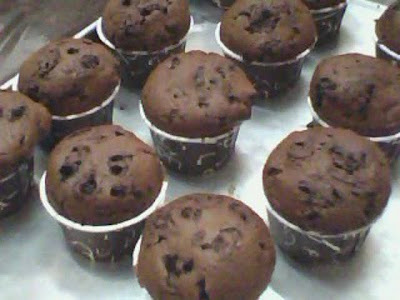 Then, mix them with chocolate granules and raisin. 4. Heat the oven to 200 degree for 10mins. Then bake for 20-25 minutes.